Fees associated with filing patent applications in Austria as well as other patent fees are available in the fee calculator. The term for filing a patent application in Austria claiming conventional priority is 12 months from the priority date. This deadline may be restored in specific cases within two months after its expiration. The official language of Austrian patent application is German, but it may be filed in English or French as well. The Austrian patent office will conduct a search and submit a search report for applications filed in German, English or French. However, a German translation must be submitted within two months upon receipt of an official invitation. A signed copy of the POA is sufficient. It should be provided along with the application. Substantive examination of an Austrian patent application is conducted automatically without any specific request. Official fees for granting and publication should be paid within 2 months from the date when Notice of Allowance was issued. Patents in Austria are in force for twenty years from the filing date. Annual fees are due each year starting from the 6th one and should be paid after the patent is granted before the expiry of the last day of the month in which the anniversary of the filing date occurs. Late payment is possible within a six-month grace period by paying a corresponding surcharge. For foreign applicants, it is necessary to perform the patent prosecution in Austria through an agent, a registered Austrian patent attorney. 2. 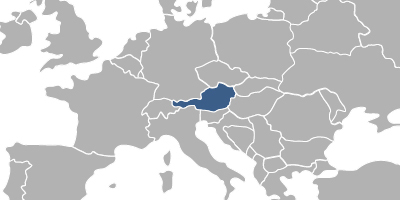 Patent protection may also be obtained in Austria via registration of the European patent and its further validation in Austria. 3. Inventions may also be protected as Utility Models in Austria, which are subject to formal examination only. Plant varieties or animal races are not protectable. The time frame for a utility model registration in Austria may take 8-12 months. However, if an expedited registration is requested, registration takes place within 3-4 months. Maximum protection period of a utility model in Austria is ten years from the date of filing.